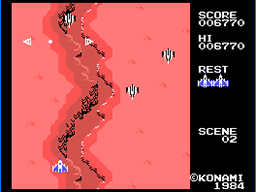 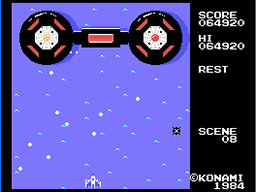 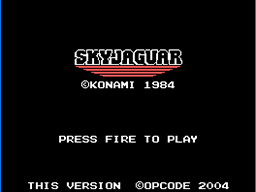 Opcode Games and Konami have come together to bring you Sky Jaguar, a challenging, fast-paced shooter unlike anything you've seen on the ColecoVision game system! 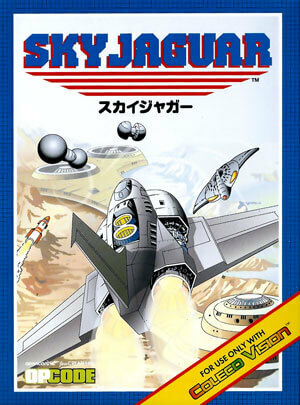 When a weakened and vulnerable Earth is invaded by the vicious Zephyr army, the planet's only hope is a fleet of powerful ships, the Sky Jaguars. 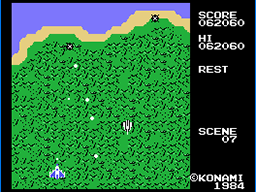 It'll take sharp reflexes and amazing skill to survive the Zephyrians' unrelenting assault... can you last long enough to discover and destroy the enemy's hidden headquarters?